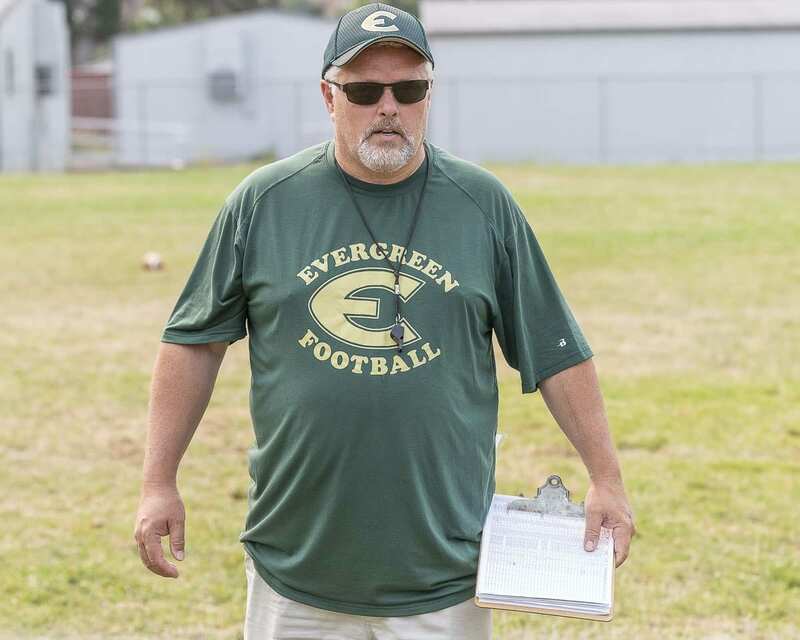 Terry Hyde said he needs to take care of himself, and he wants to take care of the Evergreen High School football program. After four seasons, Hyde is out as the head coach of the program, and he is willing to help in any way he can when a new coach is hired. The change could be perfect timing for Hyde, anyway. Two years ago, he had heart surgery and was back on the field with his players 22 days later. He said he drove himself too hard again in 2018. Hyde said he has grandchildren who eventually will be students at Evergreen, and he wants to watch them thrive. “According to my doctor, if I kept doing what I was doing, I wouldn’t be,” Hyde said. Keenan Burris, the school’s athletic director, said the position should be posted as soon as today. Hyde said he is proud of his time with the football program. Officials have given Hyde and his staff positive feedback regarding the sportsmanship displayed by the players. Opposing coaches note how the Plainsmen have a better approach to the game. Now it is time for the next head coach to take the team the next step. Hyde, who works security at the high school, intends to remain in that position. And if the new head coach is willing to have him, Hyde is open to the possibility of being an assistant with the Plainsmen. “Whoever comes in will have 100 percent of my support,” Hyde said.